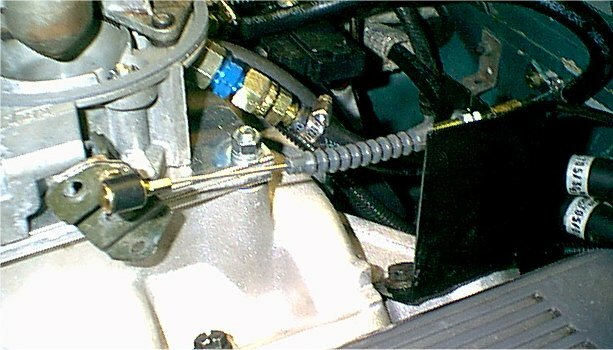 It is necessary to make up an accelerator cable support bracket that utilises the two left rear intake manifold bolts for mounting. 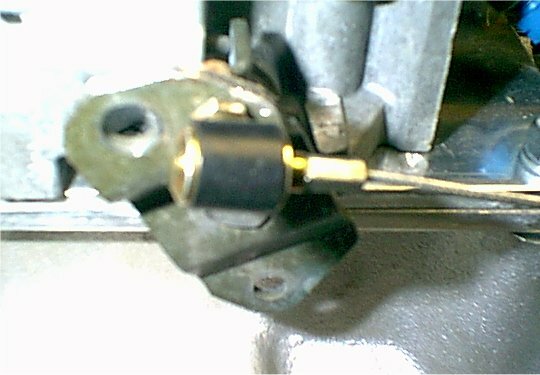 Furthermore, if the throttle lever extends above the top of the TBI unit, it will need to be trimmed off. It will also be necessary to drill a new hole for the smaller ball stud. If demand warrants we will have a batch of accelerator cable brackets made, however a slightly different design is required depending upon whether you are using an Edelbrock or a modified factory intake. 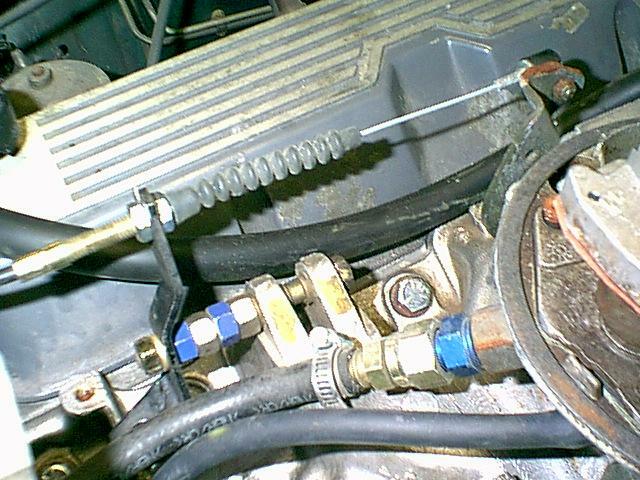 When using the latter manifold it is possible to use the existing throttle pivot as shown in the right hand photo. The accelerator cable we used is made by Real Steel in England and is designed for Holley carburettor conversions. However it is also intended for right hand drive use so is too long for left hand drive applications. The inner cable is also too long. We solved this by depositing a 'blob' of solder at the pedal end to adjust the length. As with the mounting bracket we shall have a batch of cables custom made if enough people are interested in making this conversion.